I love pies. But I try not to eat them so often because well, they are really not the healthiest thing to have around. Even if they are yummy, like Pie Face. Costs you about $5 for one but the soft crisp jaffa pie is amazing and the filling is piping hot, great for snacking on a cold winter's night for sure! Pie Face needs to build more outlets around Perth. How can I return to Jester's after such goodness? 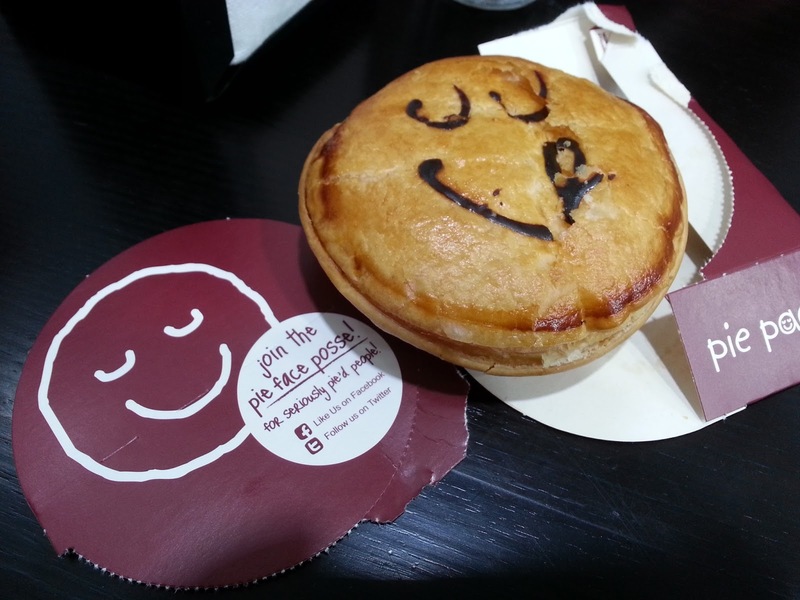 It is no gourmet kind of place but if you want a quick snack fix, Pie Face will do the trick.